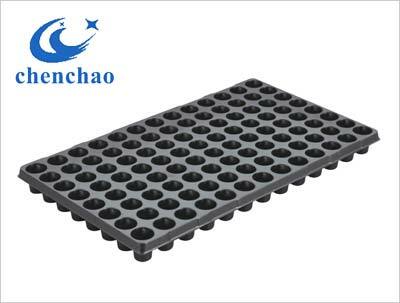 Seedling tray is a kind of plastic seedling plate which has a lot of nursery holes, it is mainly used for vegetables, fruits, flowers, trees and other nursery seedling. 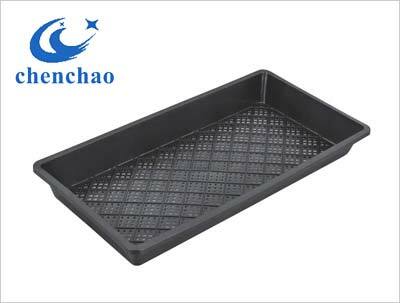 The seedling tray is made of durable plastic and has drain holes on the bottom. This kind of seed tray is easy to clean and can be reused for years. It suits for indoor or outdoor use. 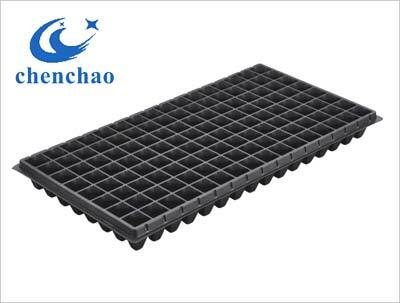 The standard size of seed tray is 540mm × 280mm, and the number of holes usually in the 18-800 between, due to the different hole diameter. 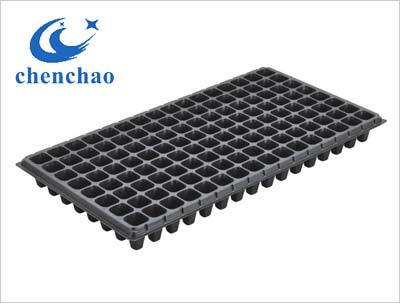 Usually cultivating small and medium seedlings, 72 - 288 holes tray is appropriate. 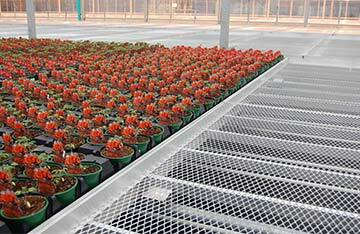 The color of seed tray can affect the temperature of plant's roots. 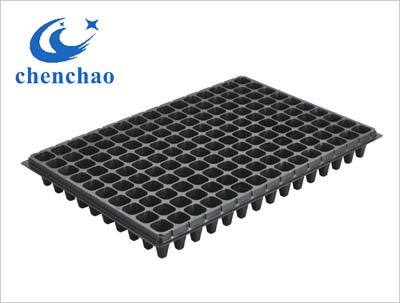 White seed tray reflects light better, so it is more used for early nursery seedling in the early summer and autumn, in order to facilitate the reflection of light and reduce accumulation of heat around roots. 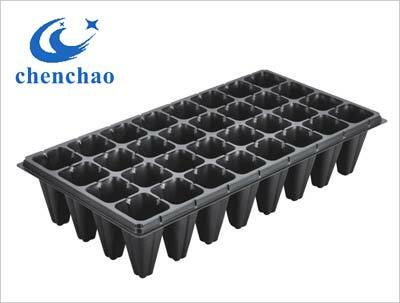 While in winter and spring, black seed tray is used more often, which is good for the young roots seedling because of its good light- absorption. (1) Making seedlings order, healthy and strong; saving seeds and making roots system developed, easy to transplant and reducing the production costs. 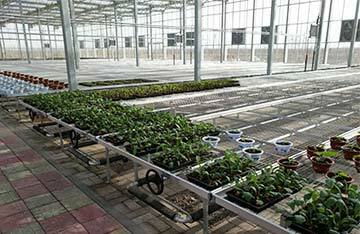 (2) The seedlings grow in order, which maintains the consistency of plant growth. (3) It can be used with variety of manual and automatic planters, facilitating centralized management and improving work efficiency. (4) Transplanting does not damage the roots, so their survival rate is quite high. 3.Thickness: 0.5mm, 0.6mm, 0.7mm, 0.8mm, 0.9mm, 1mm, 1.2mm, 1.5mm, 1.9mm etc. 4. 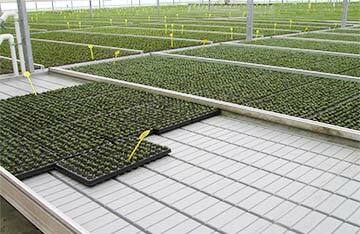 We produce all kinds of seed trays, any details please contact us.